The darkest nights of winter are lit by the warm, soft glow of a candelabra shining from the front window of a Jewish home. 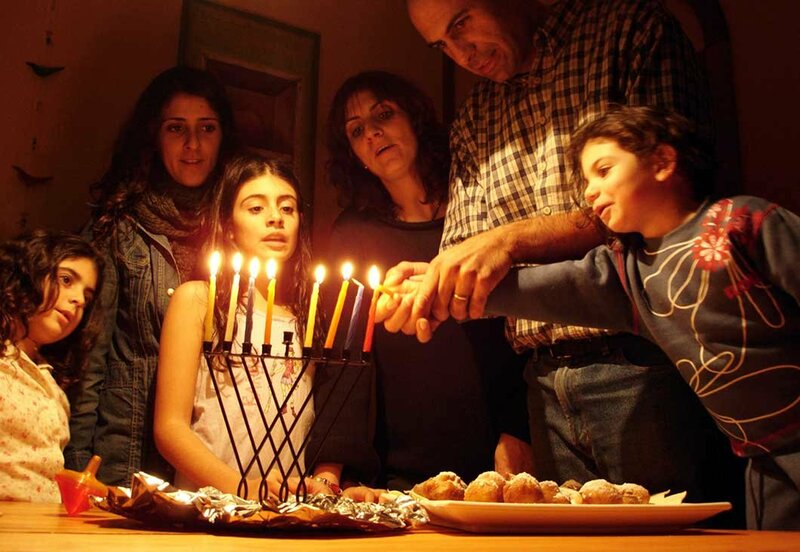 The eight-day festival of Hanukkah begins each year on the twenty-fifth day of the biblical month of Kislev. This usually corresponds to late November or December on the secular calendar. Chanukkah ( חנוכה ) means “dedication.” The Feast of Hanukkah is the Feast of Dedication. The events behind the festival of Hanukkah are found in the apocryphal book of 1 Maccabees. Therein the story is told of how Judah Maccabee and his heroic band of freedom fighters overthrew the tyrannical Seleucid forces that had subdued Judea and defiled the Jerusalem Temple. After recapturing Jerusalem, Judah Maccabee and his followers purified and rededicated the Temple. The altar that had been defiled with pagan sacrifices was dismantled and a new one was built. The menorah, the altar for incense, the table of the bread of the presence, and the curtain before the holy of holies were all replaced. When their work was complete, they established the twenty-fifth day of Kislev as the date for the rededication of the Temple, because that date was the anniversary of the day on which the Temple had been defiled three years before. To celebrate the restoration of God’s Holy Temple, all Jerusalem rejoiced for eight days. 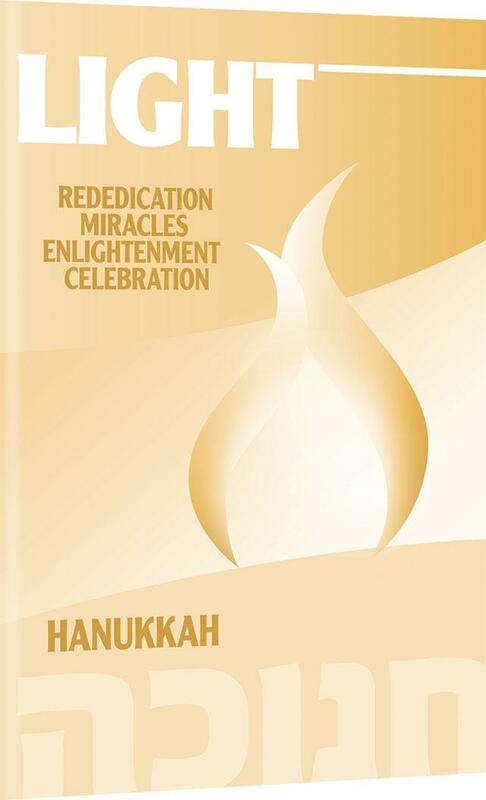 Judah Maccabee declared that future generations should rejoice annually during those eight days to remember the miracles of the Temple’s dedication. The events behind Hanukkah occurred during the turbulent years of the disintegration of Alexander the Great’s empire and the rise of the iron-clawed Roman Empire. In those days, the land of Israel found itself buffeted between world powers that sought to use her as a natural land bridge between Africa and Eurasia. The people of Israel were the victims of great political upheavals. War was never far from their land. In the meantime, another war was being waged among the people of Israel. Alexander’s conquests had introduced the world to Greek language, thought, custom, and philosophy. Greek education had become a universal standard. Western art, science, athletics, literature, and religion had infiltrated the East, and the land of Israel was no exception. Many Jews fell under the sway of Hellenism and embraced the Greek worldview with open arms. In the year 175 BCE, the Seleucid king, Antiochus the IV, inherited the throne of his empire and had himself declared Epiphanes. He asserted that he was divine. He ordered all of his subjects to erect statues of him in their temples and worship him. In addition, he sought to unify his territorial holdings by imposing a strict Hellenism. The Greek language became mandatory. Greek culture and religion were also imposed upon the people of his kingdom. In 169 BCE, Antiochus’ army suffered a humiliating defeat in their Egyptian campaign when Roman intervention put a halt to their advance. Shamed and angry, Antiochus turned his army back north to return through the land of Israel. When news of civil unrest in Jerusalem reached him, he sacked the city indiscriminately and slaughtered many of its citizens. During this siege, he entered the holy Temple and stole the gold and silver, including the incense altar, the table, and the menorah. Not long after that, Antiochus issued orders that all nations under his power were to immediately relinquish their various religions and cultures and embrace a single monolithic standard of Greek culture and faith. The edicts were specifically aimed at the Jews. The daily sacrifices were discontinued. The Jerusalem Temple was converted into a Temple to Zeus. On the fifteenth day of the month of Kislev, the Syrian-Greeks erected an image of Zeus in the Temple. Ten days later, they began to sacrifice pigs to the idol upon the altar of the LORD. Antiochus also introduced laws forbidding circumcision, Sabbath observance, kosher diets, and the study of Torah. Those who attempted to live their lives in obedience to God’s word paid with their lives. Many Jews chose to comply with the new laws. They forsook the Torah to save their lives. Others stood fast to the covenant and paid for their convictions dearly. Jewish lore has preserved the story of the elderly man, Eliezer, who chose to die rather than eat unclean meat, or even pretend to do so. Similarly, the story is told of Hannah and her seven sons, each of whom was martyred before her eyes for their refusal to forsake the commandments of the Torah. The story of brave Judith recounts that she pretended to seduce an enemy general, then slew him to liberate her entire town. The best known of all of these stories is that of Matthew, the elderly priest, and his sons. Matthew and his sons were priests who abandoned Jerusalem when the foreigners defiled the Temple. They could not, however, escape the arm of Antiochus. The king’s officers eventually came to Matthew’s hometown in Modi’in to force them to sacrifice to an idol. In the city of Modi’in, Matthew and his sons refused to comply. Instead, they revolted and took up arms against the king’s officers and slew them. They knew this act of insurrection would bring wrath down upon them, so old Matthew called out to all the people of Modi’in, shouting, “Whosoever is zealous for the Torah, and keeps the covenant, let him follow me!” Then he and his sons fled into the mountains (1 Maccabees 2:27-28). Hidden away in the mountains, Matthew and his sons were not long alone. Very quickly, all those who were zealous for the Torah gathered around them. Soon they formed a small army. Matthew himself was very old, and he died in the hills. His eldest son, Judah, took charge of the small rebel group. Engaging in guerilla warfare against the Syrian occupation force, Judah and his freedom fighters came to be called the “Maccabees,” which means “Hammers.” Judah would forever after be known as Judah the Maccabee—Judah the Hammer. Early successes attracted attention, and the little army was harassed constantly. Soon enough, the Syrian-Greek Seleucids sent thousands of mercenary soldiers to root out the rebels in the hills. They must have thought it would bring a quick and easy end to the Hanukkah revolution. But a great miracle happened there. In a stunning reversal, the LORD overthrew the massive army before the small band of rebels. It was clearly a miracle from heaven. Judah and his brave Maccabees fought many battles for several long years. They suffered defeats, but also achieved many miraculous victories. In battle after battle, the few overpowered the many; the weak overturned the strong. They pushed forward despite overwhelming odds. Miraculous intervention shifted the battles in the Maccabees’ favor until, at last, they were able to reclaim Jerusalem. Upon entering Jerusalem, Judah and his brother priests were dismayed to see the Temple desolate, the altar profaned, the gates burned, and the holy courtyard overgrown with weeds. They tore their garments, cried out to heaven, and sounded the shofar (trumpet). Before the last of the enemy had even been rooted out of the strongholds of Jerusalem, Judah and his men set about restoring the Temple. They tore down the defiled altar and built a new one. They fashioned new implements and furnishings from the material that was available. One legend recounts that they made a temporary menorah from iron bars they found in the Temple. Another famous legend has it that when they searched the Temple, they were only able to find one cruse of olive oil with the priestly stamp upon it. It was enough to fuel the lamps of the menorah for only one day. It would take eight days before they could procure more olive oil fit for use in the menorah. Uncertain of what to do, they decided to keep the commandment of lighting the menorah as best as they were able. They lit it, fully expecting it to be extinguished the same day. Miraculously, the oil lasted for eight days, until new oil could be obtained. Some say this is the reason Hanukkah is celebrated for eight days. It was on the twenty-fifth day of Kislev, exactly three years after the first pig had been sacrificed on the altar, that Judah and his men reinstated the daily burnt offerings to the LORD. They celebrated the rededication of the Temple for eight days. 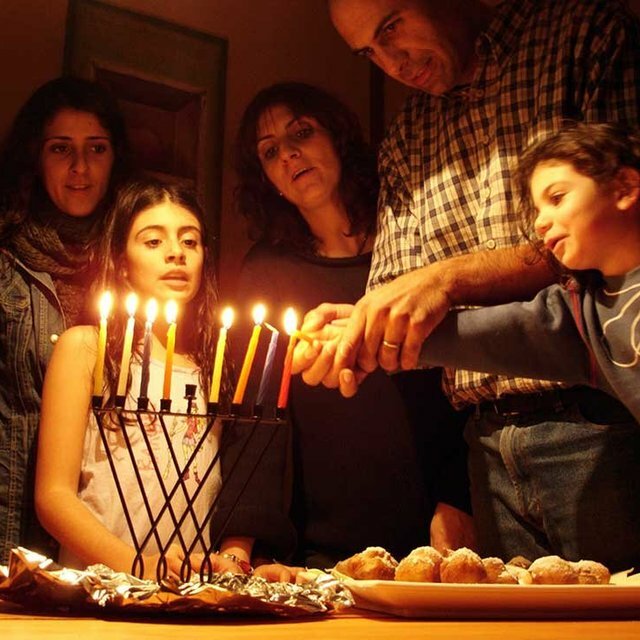 The days of dedication came to be remembered and celebrated as the festival of Hanukkah. Adapted from: Messiah Magazine #1, First Fruits of Zion, 2012.